Three partner agencies are leading this initiative: WomenatthecentrE, the Women’s Legal Education and Action Fund (LEAF) and METRAC Action on Violence. 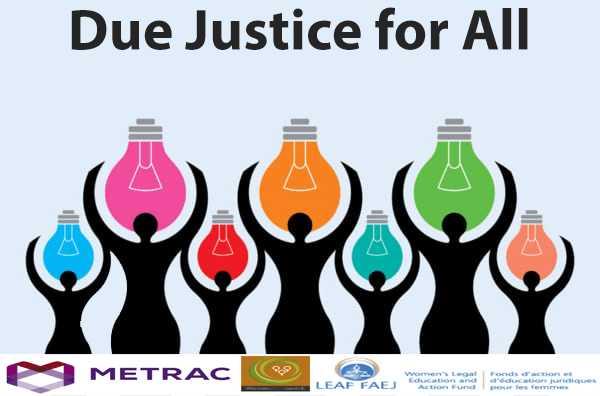 Due Justice for All is a collaborative project that is taking an evidence-based approach to understanding survivors’ experiences, current scholarship, and international models of responding to sexual violence. We are conducting both community-based and academic research on different justice models and gathering feedback from survivors and support workers on different outcomes that affect the experience of justice for survivors. We are also consulting with a diverse range of justice, health and social sector professionals, representing communities across Ontario. Using this data, we will use a design process to develop an alternative model for survivors of sexual violence, and test it through a pilot project. On April 12, 2018, METRAC launched TransFormed: Better Health for Trans, Gender-Diverse, and Two-Spirit Survivors of Domestic Violence/Intimate Partner Violence. This three-year project has been funded by Public Health Agency of Canada and is supported by partnerships between multi-sector agencies. 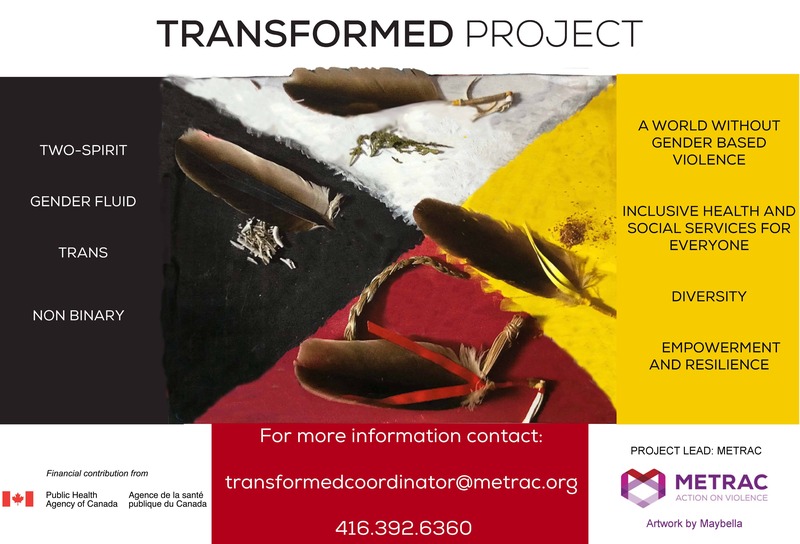 TransFormed is focused on understanding how domestic violence and intimate partner violence (DV/IPV) is experienced by Trans folk, Gender-Fluid, Two-Spirit and non-binary community members across the Greater Toronto Area (GTA), within a context that meets safety, trauma-informed and confidentiality needs. The project utilizes peer-led approaches and develops tools and training to build capacity among Ontario health and multi-sector providers, thereby increasing access to effective and equitable health and social supports. Trans is an umbrella term referring to people with diverse gender identities and expressions that differ from stereotypical gender norms – www.ohrc.on.ca. Launched by METRAC in 2013, this group of organizations collaborates to improve how violence against women and girls or gender-based violence is covered by media makers by uncovering hidden narratives, challenging assumptions and myths, and promoting public education to ultimately prevent violence. 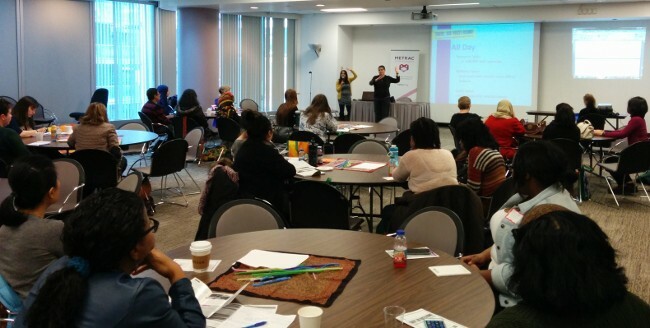 On November 29, 60 participants gathered at Metro Hall in Toronto to explore the various ways gendered violence impacts our lives and how we can resist. They learned about the work of various groups resisting oppression and violence; they engaged in discussion circles, tool-building and well-being activities; and they connected with other community members working towards positive change. This forum on youth challenging sexual violence was held at North York Civic Centre in Toronto, Ontario on April 10, 2014. It was supported by Department of Justice Canada and many community partners. 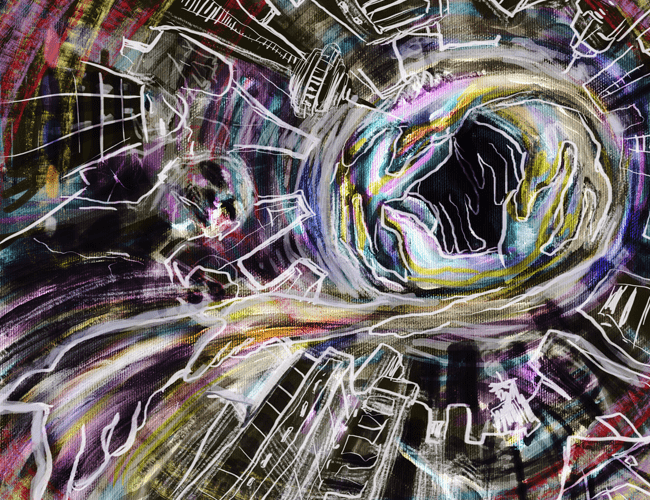 Fabricating Change is an initiative led between 2010 and 2011, funded by the Toronto Arts Council. Women and trans community members participated in fabric arts workshops to express impacts of violence and their ideas for a violence-free future. During the 2010 and 2011 16 Days of Activism Against Gender Violence campaign, gallery openings were held to display the art participants created. Panel on media coverage of sexual violence on Canadian campuses, March 4, 2014, hosted by the Media Education Knowledge Exchange Group (video by Ryecast, Ryerson University's Computing and Communications Services).